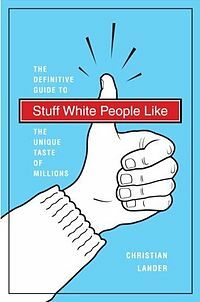 This week, Jordan and Christian go way outside of their sphere of personal experience and into the world of white folks. Specifically, we chat it up with author and screenwriter Christian Lander, best known for his bestselling book, “Stuff White People Like.” We talk about white privilege, why humor is sometimes the best tool for getting at difficult truths and why so many knockoff versions of his meme have been, well, let’s say not as good as the original. We also do a recap of the Christopher Dorner story, the rogue Los Angeles cop who went on a killing spree and got caught in a cabin up in the woods east of LA. We do some analysis of Zero Dark Thirty, one of the most celebrated and controversial films of 2012, and then we cover the newsworthy bits from the President’s State of the Union address (Christian) and have a look back at what was worth watching at the Grammys (Jordan). Oh, and although we’re not technically part of the Catholic College of Cardinals, we toss in our two cents about who should be the next Pope. Because, yaknow, what we think on this matters to the Vatican and stuff. We close out with a heartfelt farewell for Richard Twiss, a great man and an inspiring spirit who we lost far too soon. Peace, Richard.